I have traveled to White Rock Mountain several times in recent weeks to enjoy the fall season. It is one of the most peaceful places I think I’ve ever visited and I always love my time on the mountain. While it’s a bit of a drive on a gravel road, the fall colors made the drive almost as beautiful as the view at the top. On my last trip I decided to test out the camping facilities and was very impressed. While the campground was full, there was plenty of space between me and my neighbors. 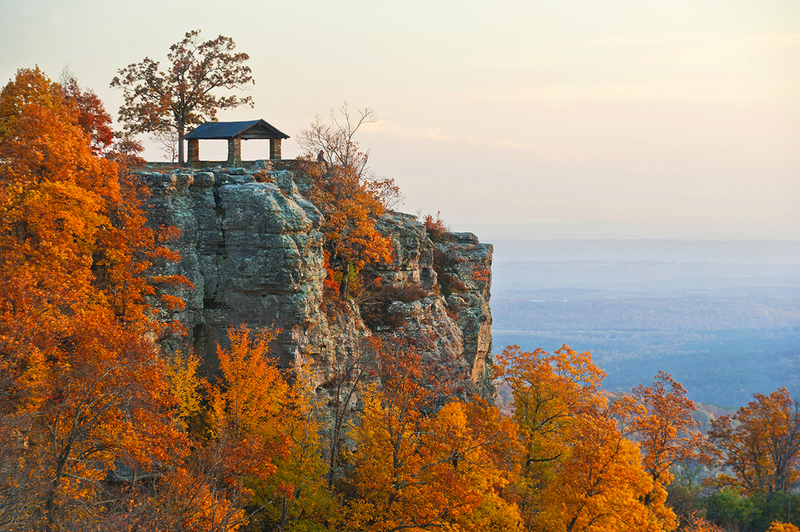 The campground gives access to several trails including the Ozark Highlands Trail and the Rim Walk Trail. Though I haven’t hiked either of these, I’ve put the Rim Walk on my to-do list. It circles the mountain top and is rumored to have stunning views. If you’re ever near Mulberry, Ark., it’s worth the drive.